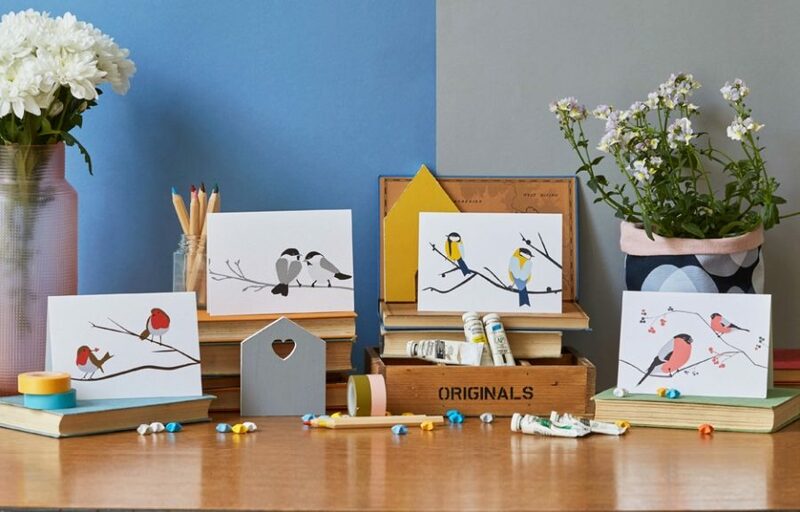 The bullfinch card is a great way to send little greeting to your nearest and dearest. 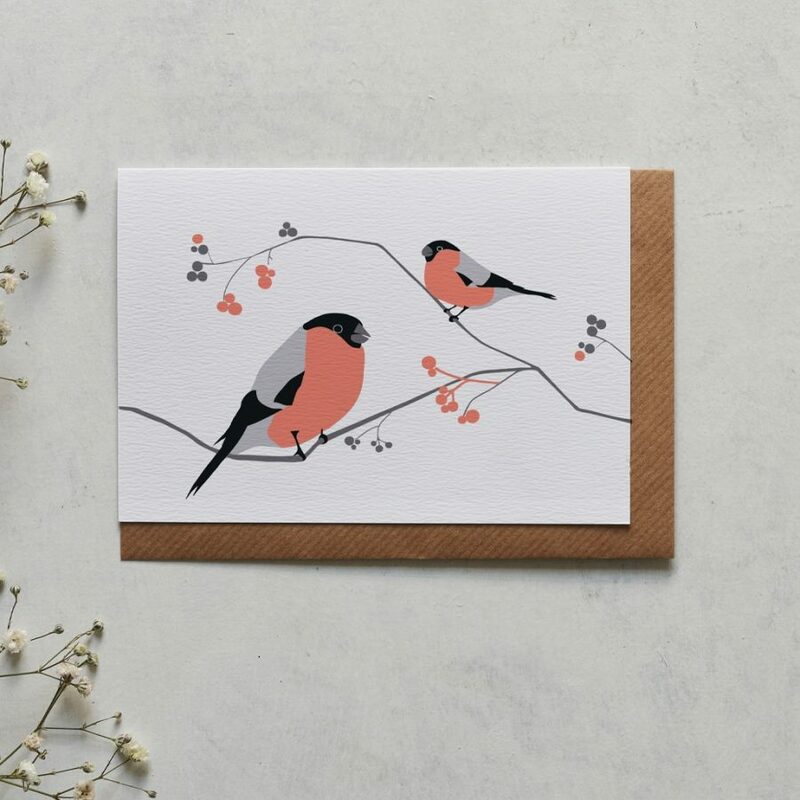 The bright feathery peach breasts of the Bullfinch are a delight to see feasting on flower buds in woods of the British Isles. Their secretive disposition makes them even more of a treasure to see and Lorna remembers the thrill of spotting them as a child.